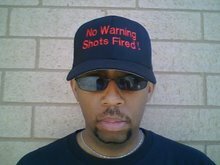 No Warning Shots Fired ! : So...Marvel Made Ya'll Love Africa ? So...Marvel Made Ya'll Love Africa ? So... Marvel Finally Made Ya’ll Love Africa ? Now I take a look/I see USA for Africa ? Not long ago, if you wore a dashiki or African medallion you had to wade through a sea of hecklers sayin’ stuff like , “ Yo ! You tryin’ to join X-Clan or somethin’ ? VAN-GLORIOUS !” Or any time you dared speak about something Afrocentric, cats would roll their eyes and mumble “there he goes with that black stuff again…” But now with the coming of the new Marvel movie, The Black Panther, even the worst Africa haters have caught a severe case of Jungle Fever. Historically, many African Americans have had a problem with the Motherland. During the days of slavery, many free black folk ,vehemently, opposed the repatriation movement. While some did see it for what it was, a way to rid America of the riff raff, most felt that they did not want to leave a country that they helped build. During the late 60’s , there was a beef between members of the Black Panther Party who embraced a Marxist ideology and Dr. Maulana Karenga's Us Organization who practiced cultural nationalism. This ideological disagreement was intensified by the efforts of J. Edgar Hoover and his COINTELPRO program, preventing any fusion of the two ideologies that could have hastened our journey towards Freedom. Even though some Hip Hop headz praise the “conscious” era of the late 80’s for bringing African awareness to rap and championing the fight against South Africa’s Apartheid regime, truth is, the era barely lasted four years and by 1992 most Hip Hoppers had traded in their dashikis and sandals for West Coast Khakis and Chuck Taylors. Sadly, that was pretty much the attitude of many African Americans until the last couple of years. Before the commercialized Black Lives Matter Era, in order to find a decent dashiki you would have had to hit the road and head to a city with predominantly black neighborhoods and hunt down an African clothing store in the middle of the ‘hood. But now even white and Asian owned shops have dashikis and African necklaces hanging in their windows. What is unfortunate is despite all the master teachers that have gone on to the ancestors; Dr. Chancellor Williams , Dr. John Henrik Clarke , Dr. Yosef ben Jochannan and a host of others who sacrificed their lives to try to teach us about our heritage, it took an old white dude who made his fortune courtesy of a white kid in a red and blue onesie swingin; through NYC to finally make us embrace who we are.